Designed for Maximum payload, the Maxi-Low short body qube or standard qube combines the ability to carry between 15cu metres - 18cu metres of load, with a payload of up to 1500kgs* including Driver. With an interior length from the bulkhead of 3800-4500mm, an internal height of 1908mm(subject to rear door specification) and an internal width of 2010mm. Options available include Standard rear roller shutter, C4 Reinforced shutter, Rear barn doors or full closure tail lift. The unique design and materials used in constriction allow the vehicle to be easily washed out after use. What procurement option are you considering? Refrigerated version of the Qube. Design based around the traditional style Luton van with the large pod for additional over cab storage, the Maxi-Low classic combines the ability to carry up to 20cu metres of load, with a payload of up to 1380kgs* including Driver. With an interior length from the bulkhead of 4200mm – with options of extending up to 4500mm, an internal height of 2150mm(subject to rear door specification) and an internal width of 2054mm. Options available include Standard rear roller shutter, C4 Reinforced shutter, Rear barn doors or full closure tail lift. The unique design and materials used in constriction allow the vehicle to be easily washed out after use. What procurement options are you considering? Design based around the traditional style Luton van, but with customers needing some extra internal height with the larger pod for additional over cab storage, the Maxi-Low Slimbo combines the ability to carry up to 24cu metres of load, with a payload of up to 1350kgs* including Driver. With an interior length from the bulkhead of 4200mm – with options of extending up to 4500mm, an internal height of 2450mm(subject to rear door specification) and an internal width of 2044mm. Options available include Standard rear roller shutter, C4 Reinforced shutter, Rear barn doors or full closure tail lift. The unique design and materials used in constriction allow the vehicle to be easily washed out after use. 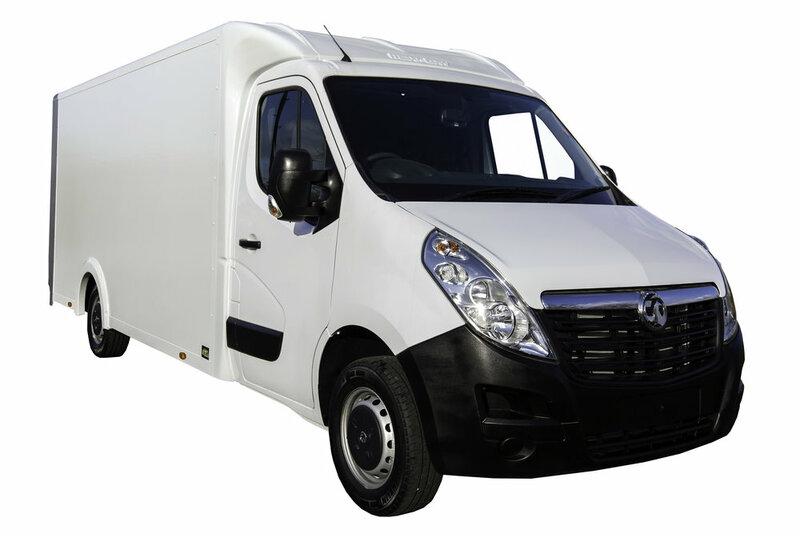 Design based around the traditional style Luton van with the large pod for additional over cab storage, the Maxi-Low Maxi-Sprint combines the ability to carry up to 22cu metres of load, with a payload of up to 1360kgs* including Driver. With an interior length from the bulkhead of 3800 - with options of extending up to 4500mm, an internal height of 2100mm to 2400mm(subject to rear door specification) Options available include Standard rear roller shutter, C4 Reinforced shutter, rear barn doors, full closure tail lift or column lift. The unique design and materials used in constriction allow the vehicle to be easily washed out after use. Design based around the traditional style Luton van with the large pod for additional over cab storage but the benefit of a low side access floor level, the Maxi-Low curtain side combines the ability to carry between 20cu - 24cu metres of load, with a payload of up to 1350kgs* including Driver. With an interior length from the bulkhead of 3800mm – with options of extending up to 4500mm, an internal height of between 2150mm(subject to rear door specification) and 2450mm and an internal width of 2010mm. Options available include Standard rear roller shutter, C4 Reinforced shutter, Rear barn doors or full closure tail lift. The unique design and materials used in constriction allow the vehicle to be easily washed out after use. The largest vehicle in our 3.5t product offering, the Jumbo provides the maximum amount of space available but still manages to maintain a huge payload of up to 1290Kgs (depending on final specification). 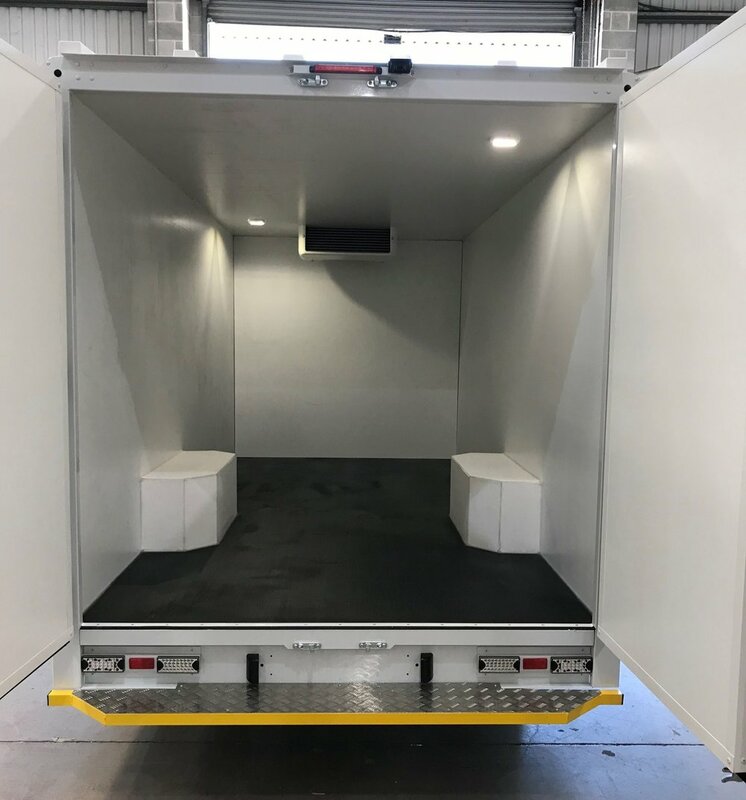 Internal load lengths of up to 4500mm with internal heights of up to 2600mm provide a fantastic amount of space for when you need it most. Make your Maxi-Low even more flexible by adding a tail lift or a side door option. 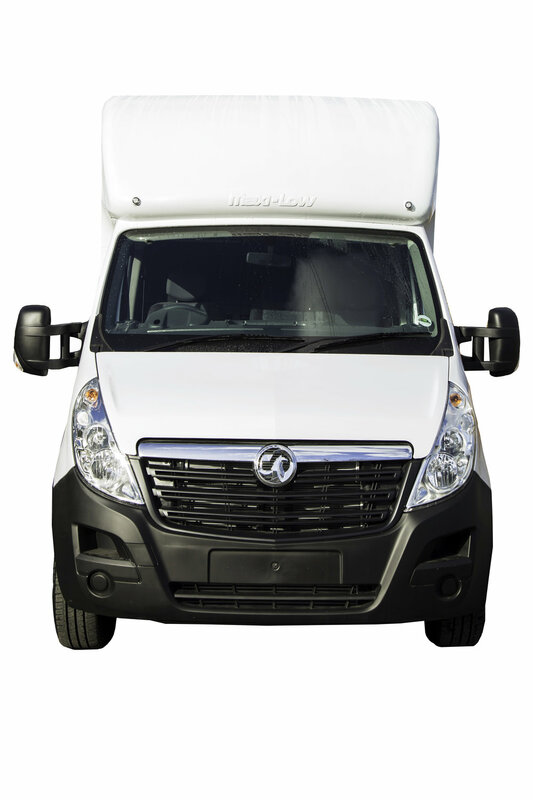 These options are availble on the entire range of Maxi-Low vans as part of our bespoke build process. 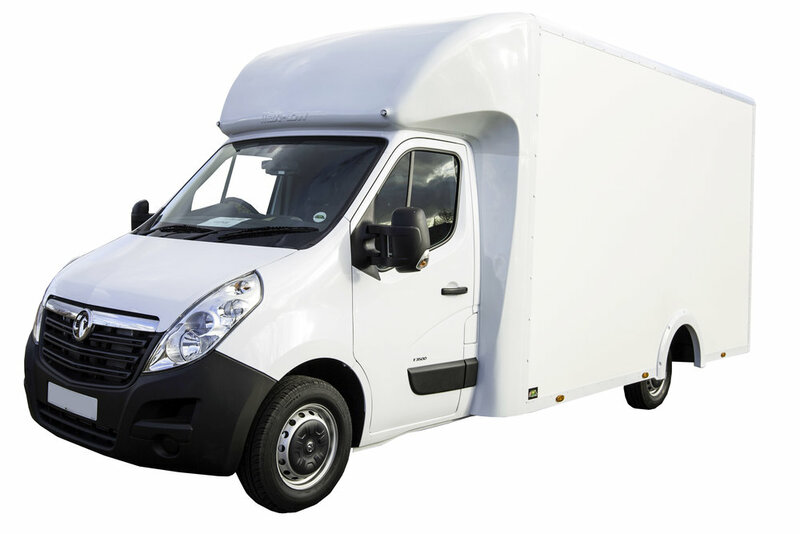 Add a tail lift to our of our Classic low floor lutons and still have a payload of 1200kgs! Maxi-Low specialise in working with our customers, creating a unique build for our clients - Whether you have a plan for a specific vehicle you require or would like a member of our tehnical team to work in conjuction with you to create a solution to your transportation needs, we are more that happy to sit with your ad talk through the options. Whether you are looking for a single vehicle for your business, or a complete fleet upgrade with the ability to provide a one-stop solution, we can assist. Introducing the latest addition to the Maxi-:Low product line up, the all new Ramp Loader. A one piece, fold-down torsion ramp with a non slip surface for maximum traction. Allows maximum flexibilty for loading and unloading and with the addition of a side door allos ease of access to your load area. Available on all of the models of the Maxi-Low range (subject to the internal length required) this lightweight, easy to use ramp system is proving very popular with our customers. Now available - The new VW Crafter an ultra lightweight Maxi-Low Body makes a great addition to your fleet. With the reliable base chassis, you have the option of Tail lift / No Tail lift on the standard height chassis cab. Available in two internal lengths, with a fully jet washable interior for added practicality the new Maxi-Low box luton is available as a bespoke order. Introducing the all new 7.2t Urban truck from Maxi-low. Built and designed with the maximum payload possible and up to a 4t payload (subject to final specification) the urban truck gives the operator the ability to deliver much greater payloads at a much reduced cost. 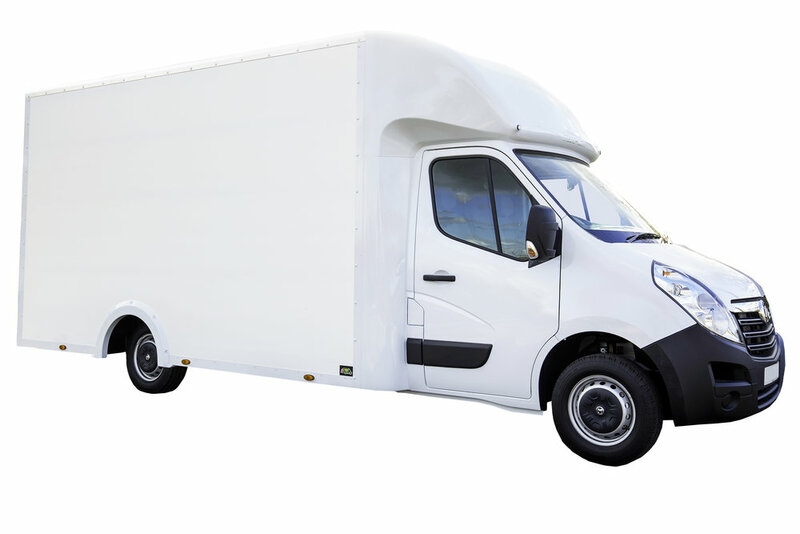 This new style of ultra lightweight vehicle,can offer up to a 1 tonne increased payload over the traditional 7.5t vans currently available, which is the equivalent of an additional panel vans worth of carrying capacity. Also, the new urban truck has the ability to access areas that are restricted by the 7.5t access laws, giving you much more flexibility. Copyright Maxi-Low UK Limited 2019.